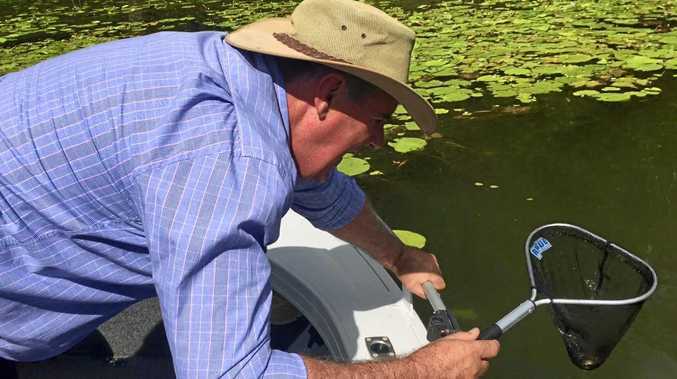 Endangered cod gets a boost at Borumba: The endangered Mary River cod has been given a boost at Borumba Dam, and Minister Mark Furner joined in the fun of restoring the ecosystem. 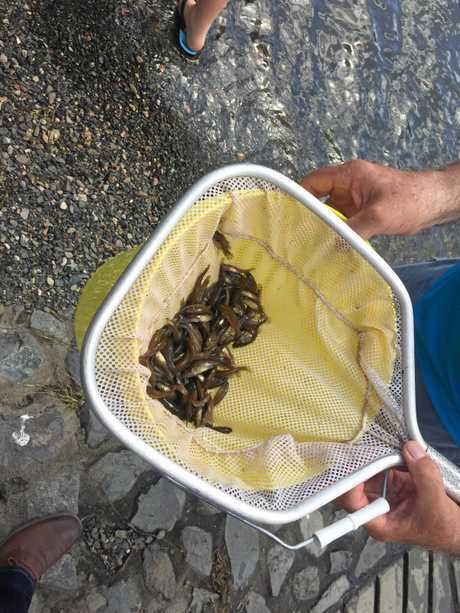 THE endangered Mary River cod population in Borumba Dam jumped yesterday with 1000 fingerlings released into the popular tourist spot. The release was part of a program to boost the waterway's ecosystem and to bring the cod numbers back out of the danger zone. Agriculture Minister Mark Furner said the release was a win for the environment. "The 1000 fingerlings that we're releasing today will provide sustainability to the fish in these waters. 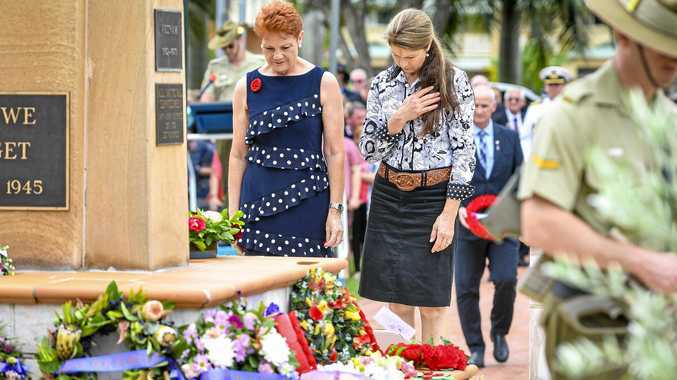 It was also a big step for future generations. "I'd like to see a legacy of providing the opportunity for kids, the grandchildren, to come out and throw a line into the water." Despite the Mary River cod's endangered nature its status as an apex predator prevented more than the 1000 fingerlings to be reintroduced. Fishermen who cast a line should also remember to release it after grabbing a quick picture. Those caught in Queensland with even one Mary River cod could expect to be out of pocket on-the-spot of more than $260. A court appearance could be on the cards for more severe breaches of the law.